KNICKERBOCKER, TEXAS. Knickerbocker is at the junction of Farm roads 2335 and 584, six miles from the Irion county line and eighteen miles west of San Angelo in southwestern Tom Green County. It was named for Diedrich Knickerbocker, narrator of Washington Irving’s History of New York, by two early settlers who were related to the author. 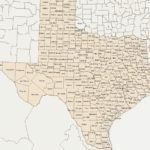 The pioneer farmers and sheepmen who resided there in its heyday made Knickerbocker second only to San Angelo in size and political influence in the county. In 1875 the brothers Polk, Pete, and Tom Baze put in the Baze ditch to grow hay, vegetables, and melons to sell at Fort Concho. They donated land for a church, a school, and a cemetery on the northwest side of Dove Creek. Joseph Tweedy, E. Morgan Grinnell, Lawrence Leslie Grinnell, and J. Barlow Reynolds in 1877 drove Mexican sheep into the valley from their sheep camp near Fort Clark. They established the Knickerbocker ranch headquarters and a store on the southeast side of Dove Creek. A post office was opened in 1881. The town had twenty-five residents in 1884 and fifty in 1890. In the 1880s oats, millet, wheat, and corn were traded and sold at the Tweedy Mercantile Company in Knickerbocker. Sheep ranching was the area’s other main source of income until the collapse in wool prices forced the major sheep ranching firm out of business. Of the original owners only Tweedy remained in control of some of the land. He platted a townsite, built a home, and set up San Jose Irrigation and Power Company to water farms along Dove Creek. In 1887 Stephen Dexter Arthur brought cottonseed as feed from Falls County, planted it as an experiment, and raised the first bale of cotton in these parts. Remains of his water-driven gin can be seen near the bridge over Dove Creek. In 1889 Knickerbocker was moved around the hill to a new site with better water. Arthur built a Methodist church with lumber brought from Round Rock on land donated by Joseph and Elizabeth Tweedy. In the late 1890s Knickerbocker had two cotton gins, two saloons, two blacksmith shops, an undertaker, two general stores, two hotels, stage line stables, a sanatorium, and a population of 250. The adobe store and post office, built in 1896 and operated for many years by J. B. and Holly Etheridge, stood until 1936. The Immaculate Conception mission of Sacred Heart Parish, built in 1902, was still in existence in 1986. Knickerbocker got its first schoolhouse, a plank structure, in 1889. A school for Mexican children was built in 1895. The brick schoolhouse, which was built in 1926, served until 1956, after which all Knickerbocker children went by bus to Christoval. Knickerbocker declined with the coming of the automobile and all-weather roads. In 1990 it had a post office, a general store, Catholic and Protestant churches, and a population of fifty. The population remained the same in 2000. SOURCE CITATION: Handbook of Texas Online, Katharine T. Waring, “Knickerbocker, TX,” accessed June 25, 2016, http://www.tshaonline.org/handbook/online/articles/hnk19.